The year 2009 was both wonderful and tragic for her. It was wonderful, because she had already got her first Oscar – the most desirable award for any actress in the world. She also was preparing to become a mother and was adopting a child – she wished it so much! But the sad news was that her husband – the person, whom she trusted implicitly, cheated her during almost a year. Does the curse of Oscar really exist? She was ready to believe it! Sandra Annette Bullock was born on the 26th of July in 1964. She was a daughter of John Bullock, a voice teacher, and Helga Meyer, an opera singer from Germany. It was her mother, who made Sandra believe, she could become a talented actress. When the girl was just 5, she appeared on the stage for the first time in one of her mother’s plays. Little Sandra liked to perform so much! No doubt it was her calling. Sandra Bullock visited Washington-Lee High School. There she took part in school performances and was a celebrity among her classmates. After graduation from the High School, Sandra entered East Carolina University in Greenville (North Carolina). She studied acting there, but then left the University and moved to New York. There she took acting classes in a small theater, located near her apartment and earned her living, being a waitress. When Sandra was 21, she took part in the performance of that very theater, where she studied acting. Her talent was noticed and critics valued high the young actress. After the first success in the theater Sandra hired an agent. She was ready to do everything to appear in some of numerous TV shows that were shot in New York. Soon she got the role in her first TV series. It was NBC sitcom “Working Girl”. Later she appeared in some other TV shows, including “Lucky/Chances”, when she finally got her first role in the movie “Love Potion No. 9”. Sandra Bullock films are different. Some of them are romantic comedies, the others are thrillers. Some of her movies became world famous, the others failed. But in any case each her role was extremely important for her as she gave a part of her soul to each of the heroines. With big glasses, wide dark eyebrows and curvy hair Sandra Bullock looked very natural, acting as Diane Farrow in this romantic comedy. It was her first prominent role and she showed, she had that very spark, which differs an average actress from a world known celebrity. She replaced Lori Petty in the thriller of Sylvester Stallone “Demolition Man”. Although the film got contradictory reviews from critics, the play of Sandra Bullock was praised high. Thus she continued her way to stardom and to her title of America’s favorite actress. During her work in “Speed” she played opposite Keanu Reeves. Till now the journalists try to guess, if the actors had an affair or not. In any case, Keanu was charmed by a young woman with big heart and open smile. They say, he brought Sandra fresh flowers every day to the film set and cared about her. Later the famous couple would meet in another movie, “The Lake House”, but it would be the box office flop. This short film about the married couple and the sandwich store, that was opened nearby and almost ruined their relationship, showed us another side of Sandra Bullock. There she tried her hand not just as an actress, but also as film director. The film about two young sisters-witches gave Sandra an opportunity to play opposite legendary Nicole Kidman. Both, Nicole and Sandra, proved that any woman can be a witch to some extent. Gwen Cummings, a newspaper columnist, who appeared to have alcoholic addiction, was sent for rehab. Thus she was forced to take a sober look at things around her and to enjoy her life without dopes. This role still remains one of the most successful in Sandra Bullock bio. Gracie Hart, FBI agent, who is devoted to her work, gets an unusual task. She has to take part in a beauty contest. The point is that Gracie looks like “a manly man”, not like a tender woman, so this task is extremely difficult for her, but as a good agent, she has to try! Later the other part of the movie was released, but it was a flop. 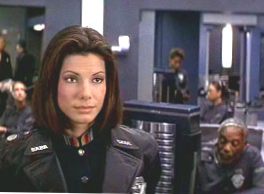 If her other movies were comedies or thrillers, “Crash” showed us the talent of Sandra Bullock as a drama actress. The film was extremely successful and got three Oscars in various nominations, including “The Best Film”. The role of Leigh Anne Tuohy brought Sandra Oscar. The film about football player Michael Oher and a rich woman, who helped him to start his career, was considered as one of the best films of the year. Sandra Bullock Oscar is the best award in her collection. The work with George Clooney was a great pleasure for an actress. She acted as Ryan Stone, an astronaut, who appeared in the open space together with her partner. 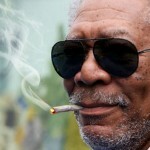 The film was going to be one of the most successful of the year. 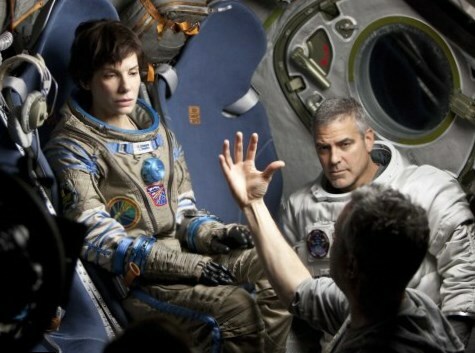 Sandra Bullock Gravity brought her another Oscar nomination. In 2015 Sandra Bullock tried her hand as a voice actress. Scarlet Overkill from “Minions” speaks her voice. During her career Sandra Bullock has got a lot of awards. She is the owner of Golden Globe for the movie “Miss Congeniality”. She has also got Oscar for her role in “The Blind Side”. Sandra Bullock also got five nominations for Golden Globe and two nominations for Oscar. She is one of the most high paid actresses in Hollywood. In 2015 she was called the most beautiful woman by the issue “People”. The place of Sandra Bullock husband is vacant for now. They say she is dating photographer Bryan Randall now. Sandra was married twice. Her first husband used to be an actor Jean Michel Vincent. Her second husband, Jesse James, cheated her with the model Michelle McGee. That’s why they got divorced. Sandra doesn’t have her own children, but she adopted a child from New Orleans. Now she is a single parent of the boy Louis. The actress is in great shape (Sandra Bullock height is 171 cm, weight – 50 kg) and she is going to continue her career, adding new great movies to her filmography list.